It's not just giant tech companies that are going on the record about their commitment to diversity. This week, Slack -- a two-year-old startup -- released its own diversity report. It doesn't have the name recognition of Google (GOOG), Facebook (FB) or Netflix (NFLX). But it's important -- and not simply because of the numbers. The company asked employees voluntary questions and pulled data from its HR systems to break down its stats on its racial and ethnic diversity, gender and LGBTQ employees. It revealed that its workforce is 39% female and that 45% of its managers are women. But it still has a long way to go. 70% of its workforce is white, while just 4% is black and less than 1% is Hispanic/Latino. "In this process, we asked ourselves a simple question -- how can we do better?" Slack founder and CEO Stewart Butterfield and VP of People & Policy Anne Toth wrote in a blog post. "Our primary goal is to avoid becoming yet another place where underrepresented groups exit the technology industry,"
Slack is one of the few tech startups to release numbers like this. According to Joelle Emerson, founder of diversity consulting firm Paradigm, the company is "uniquely early" in its commitment to diversity given its age and size. 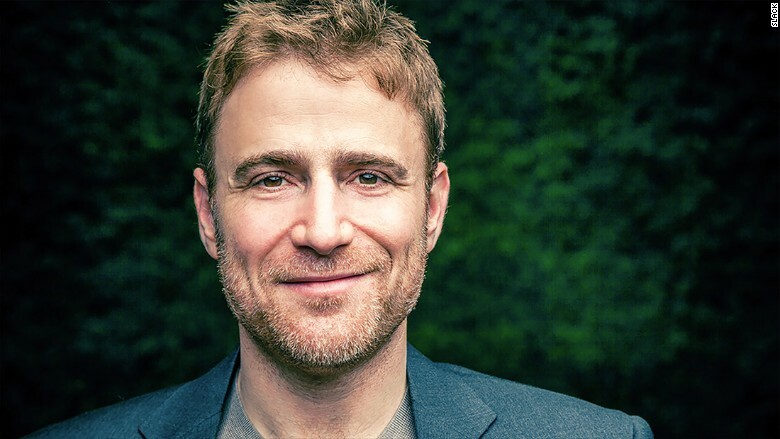 Slack raised $160 million at a $2.8 billion valuation earlier this year, making it a unicorn (the term for a firm valued at more than $1 billion). Several other unicorn companies -- Airbnb, Dropbox and Pinterest -- have also released diversity reports. But with over 120 unicorns, the vast majority have yet to follow suit. But Slack -- which helps teams collaborate -- has just 250 employees. It said it started reviewing its policies when it had just 75 employees. Emerson has been working with Slack since March on efforts like unconscious bias training for its employees. This includes eliminating exercises known as "whiteboarding," where companies screen engineering candidates by having them write code on a whiteboard. It's a practice that can weed out women, not due to competence but rather to intimidation. Paradigm works with over a dozen other tech firms, including Pinterest, but Slack was one of its smallest clients when they first started working together. "The earlier a company is going to to work on this, the more successful they're going to be at it," said Emerson. "As you grow, it gets exponentially harder ... [But] that doesn't mean its ever too late." "I hope that smaller unicorn companies will see what Slack has done," said Emerson, noting that it's not just about releasing numbers, it's also about being transparent about the steps they're taking to meaningfully boost diversity. Slack listed four ways in which it is committed to building a more diverse workplace. These include examining all decisions in the hiring, compensation and management space; consulting with experts like Emerson on trainings and internal processes; supporting organizations that address pipeline issues like Hack the Hood; and working to be mentors and role models. While companies have touted diversity as fundamental to innovation, Butterfield wants to see more diversity in the tech industry as a whole, not just at his company. "By far the best impact we could have would be a generation of ex-Slack people starting new companies, being role models, setting examples," said Butterfield in a tweet after the post went up. When one Twitter user questioned why age and disability weren't included in Slack's diversity report, Butterfield tweeted back: "Not (yet) measured. However, not ignored :)"